Got washer problems? Let us take care of them. 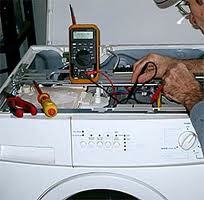 We replace and repair washing machine parts and can fix any problem with the appliance. Expect our quick response and full support when you experience washer related problems. Our washer technician near you will come to your house to check the appliance and fix the problem as soon as possible. Count on our local company for any service on your laundry machine. From quick repairs to installations and annual maintenance services in between, our company guarantees expert Greenburgh washing machine repair work. Experienced in most brands, our local techs here at Appliance Repair Greenburgh NY can fix any home washing machine. The key to effective service is to have the right equipment for proper troubleshooting and diagnosing. You can rest easy that each one of our service vehicles contains all tools needed for each job. Our washing machine technician will also bring with him spares and replace the damaged washer parts in a jiffy. Is the washer making noises during the cycle? Hard to latch the door? Is there soap residue on your garments? Is the washer not spinning, draining, or starting? We provide same day washer repair in Greenburgh, New York. And we can solve any problem. But what our pros also do is maintain your washer to prevent such problems from ever occurring. Wouldn’t that be better? With annual inspection and servicing, your washer will perform at its peak efficiency and last for a much longer time. You can trust our team to do any washing machine repair service. Responding fast to fix problems is guaranteed by our company. But we can also assure you that our techs are trained and certified to do any other washer related job for you. Apart from maintaining the appliance and fixing its problems, we also offer washer installation. With our expert work, we ensure the good operation of the new unit. Call us to cover your concerns and needs. Get a quote today! Get in touch now if you are in need of urgent washing machine repair in Greenburgh.